Download our production manager email database and access the sales leads you need within minutes! This manufacturing director email list contains the mailing addresses, email addresses, phone numbers, and more of those in charge of manufacturing and production management. Manufacturing directors occupy an influential position in many companies. These manufacturing managers and directors oversee the process of creating the industrial products that a company sells. A manufacturing director is also in charge of approving new products and ensuring quality control. If your product or service can help production managers carry out these vital tasks, contact them directly to let them know about it with the help of this director of manufacturing email database. 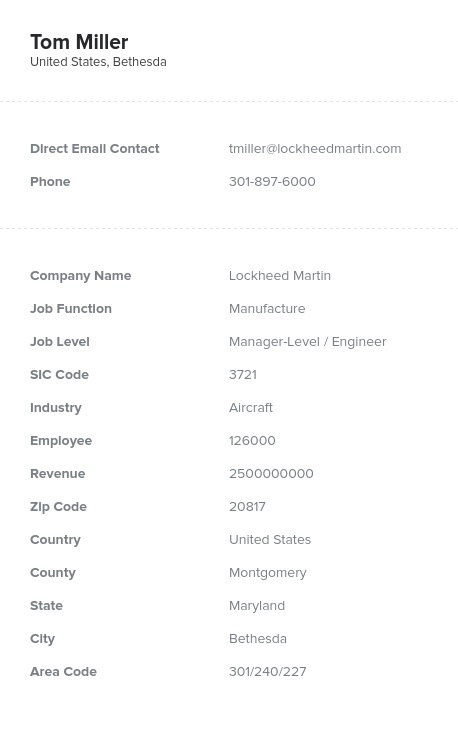 Our targeted, human-verified manufacturing directors email list contains only those with job titles such as "director of production" or "manufacturing manager," so you can better focus your B2B marketing efforts. No matter how you'd like to conduct your campaign, this bulk email list of potential sales leads can help, whether you want to send direct mail, cold-call them, or email leads about your product. Our production directors mailing list includes not only postal and email addresses and phone numbers but names, company details, and fax numbers of these important manufacturing and production management professionals. Best of all, once you buy our pre-built list of manufacturing managers and directors, you can download and integrate it into your CRM in minutes. Don't waste time and payroll trying to manufacture your own business contact list: Email leads using our premium manager of production email list to produce results!